Carpal tunnel syndrome (CTS) occurs as the result of the median nerve being trapped or squeezed as it passes through the carpal tunnel, which is located in the wrist. Nine flexor tendons with their covering or sheathes, blood vessels, and connective tissue also pass through the carpal tunnel, creating a tight passageway between the forearm and hand. Therefore, swelling of tendons and/or their sheathes, leaking of synovial or joint fluid from the many carpal joints, or bone spurs, cysts, and/or systemic swelling can each impinge on the median nerve. Basically, ANYTHING that increases the pressure inside the tunnel can cause the symptoms associated with CTS. Symptoms associated with CTS include pain, numbness, tingling, a “half-asleep” feeling, swelling, and a weak grip (such as difficulty unscrewing the lid from a jar). Sleep interruptions are common as we often sleep with a bent wrist, which further increases the pressure on the various soft tissues in the area. Some people have a greater risk of developing CTS. For example, women are three times more likely than men to develop the condition due to a smaller tunnel and wrist as well as a slightly different tunnel shape. The following can increase the risk of developing or worsening CTS: diabetes, hypothyroidism, birth control pills and/or other hormonal replacement therapies, pregnancy, and some types of inflammatory arthritis. Jobs that require fast, repetitive work without enough rest time and those that require forceful gripping also carry an increased risk for CTS. Ergonomic factors such as certain job tasks, tool handle shape, body position on a line or machine, prolonged sitting (especially when the head/neck is not in a neutral position), and work that requires telephone use (especially without headsets), must be addressed to gain proper control of the condition. The diagnosis of CTS is made from a combination of a careful history and physical examination of the hands, arms, shoulders, and neck, as it is VERY IMPORTANT to make sure it is truly CTS and not a group of conditions or something totally different. Hence, your doctor may run a series of tests to differentiate between the many possible causes of CTS. Typically, a careful evaluation can lead to a successful diagnosis of CTS but occasionally, further tests are necessary. The chiropractic treatment approach for CTS includes the typical rest, ice, night splints, exercises, and job modifications that most healthcare providers utilize. The unique feature that separates chiropractic from medical-based, non-surgical care is the use of manual therapies applied to not only the forearm, wrist, and hand, but also frequently the elbow, shoulder, and neck, as these areas are frequently contribute to the patient’s symptoms and must also be managed for a successful outcome. 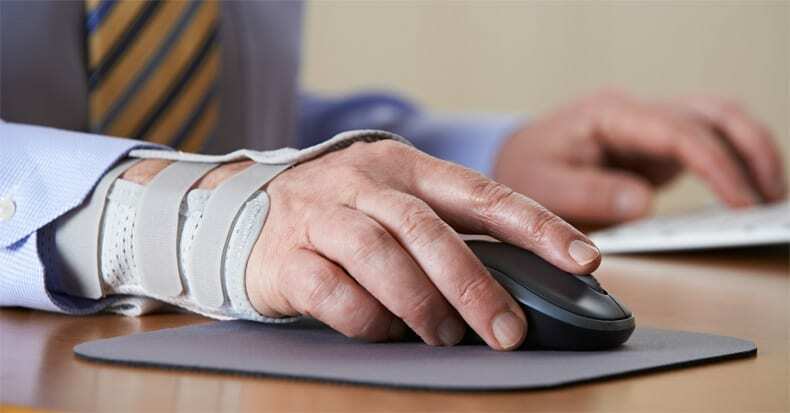 The post Important Carpal Tunnel Syndrome Facts appeared first on ChiroTrust.